Listed are made in accordance with specifications of the American Society for Testing and Material. Strict manufacturing procedures and quality controls insure full compliance to ASTM E-1. These instruments are made from annealed glass and have been extensively aged for minimal scale error and stability. Many crossover to the IP standard listed alongside the ASTM number. 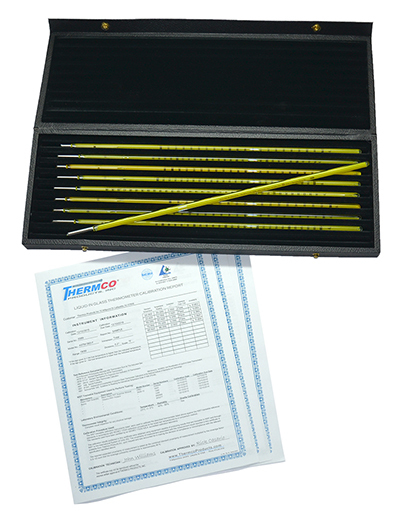 These thermometers were designed for specific testing and can be calibrated to your specific requirements. 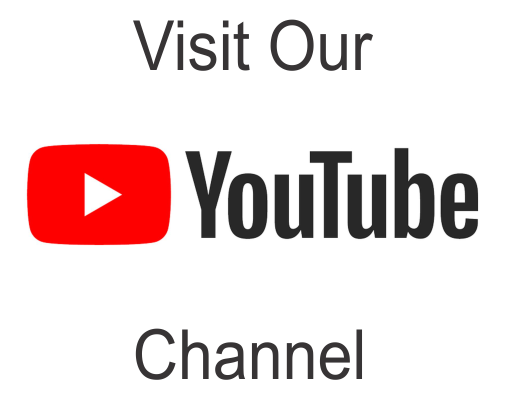 Many are available in non-mercury configurations and meet ASTM standards for accuracy tolerance and uncertainties and can be used as a primary standard. 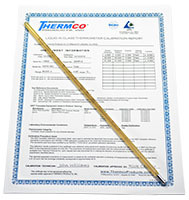 Thermco’s ASTM - Precision Factory Calibrated / Certiﬁed Thermometers are calibrated against NlST standards and comes with a calibration document showing corrections to the nearest tenth of a scale division traceable to NIST. 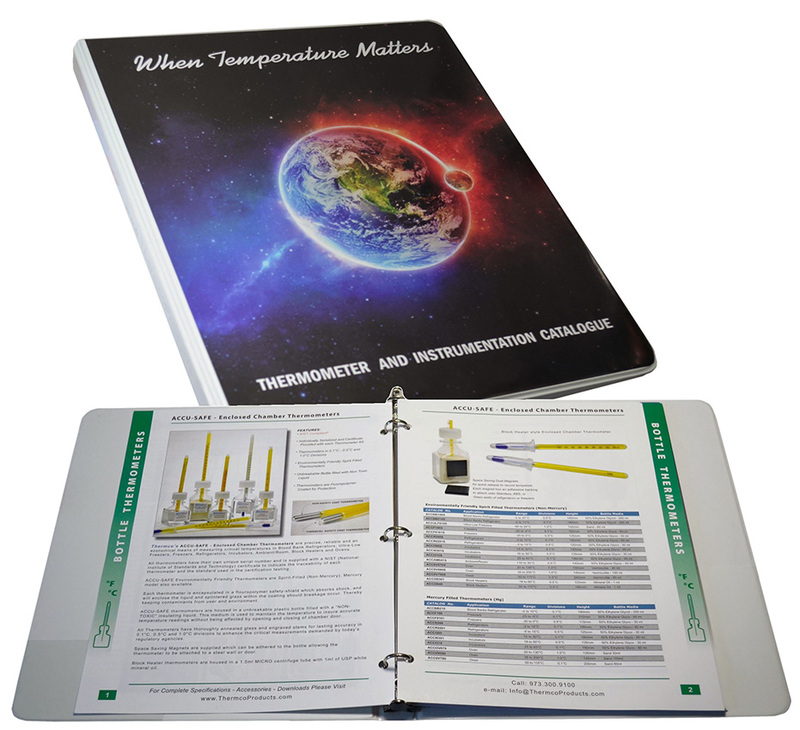 These thermometers meet with all prescribed ASTM requirements. 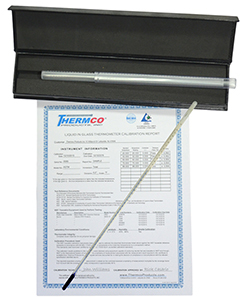 Each incorporates the ice point when not on scale (0 or 32°F) as a reference point enabling the user to validate and update the calibration document to insure accurate temperature measurements over the life of the thermometers.